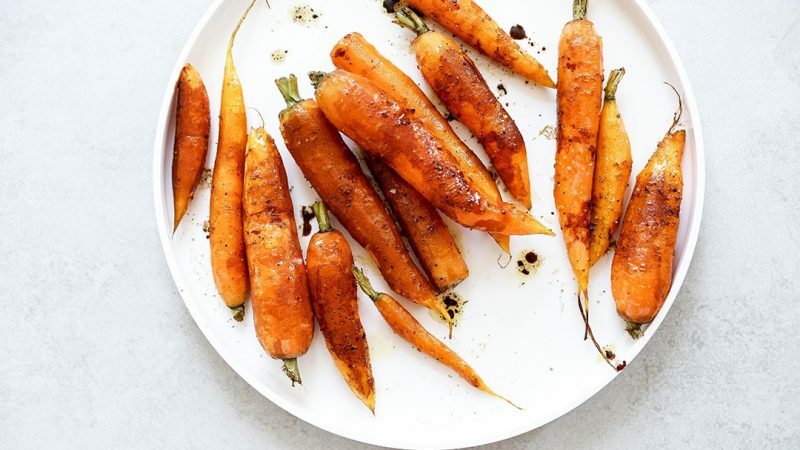 These Vanilla-Coffee Glazed Carrots will have you buzzing with excitement and might just become your new favorite Fall side dish. 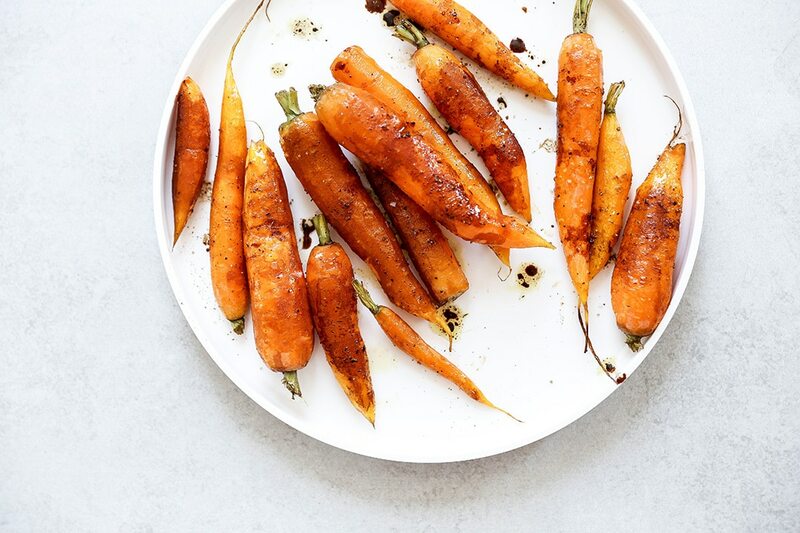 Spread 1 bunch of peeled and trimmed carrots out onto a large rimmed baking sheet. Drizzle with 2 tbsp. extra-virgin olive oil and sprinkle with 1/2 tsp. each salt and black pepper. Transfer to your oven and roast the carrots for about 15 minutes, depending on their size. Remove from the oven. Meanwhile, bring 1/4 cup brewed coffee, 1 tbsp. balsamic vinegar and 1 tsp. Rodelle Pure Vanilla Extract to a simmer in a small saucepan over medium-high heat. Cook until reduced by approximately half. Remove the saucepan from the heat and pour the reduced glaze over the roasted carrots, tossing to coat. 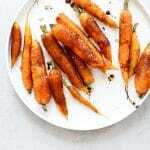 Transfer the carrots to a serving plate and enjoy immediately.